After Mike disappeared at the end of PHANTASM IV, Reggie finds himself wandering in the desert, taking down spheres while trying to figure out where his friend went. But when Reggie wakes up in a nursing home, with Mike insisting he’s suffering from dementia, he must struggle to figure out what’s real and what’s an illusion. As he begins to leap back and forth between a peaceful present and a dystopian future where The Tall Man has almost won, Reggie must summon all his courage and his two best friends, Mike and Jody, to finally defeat the unholy alien evil. While searching for Mike, Reggie prepares himself for one final epic battle with The Tall Man. 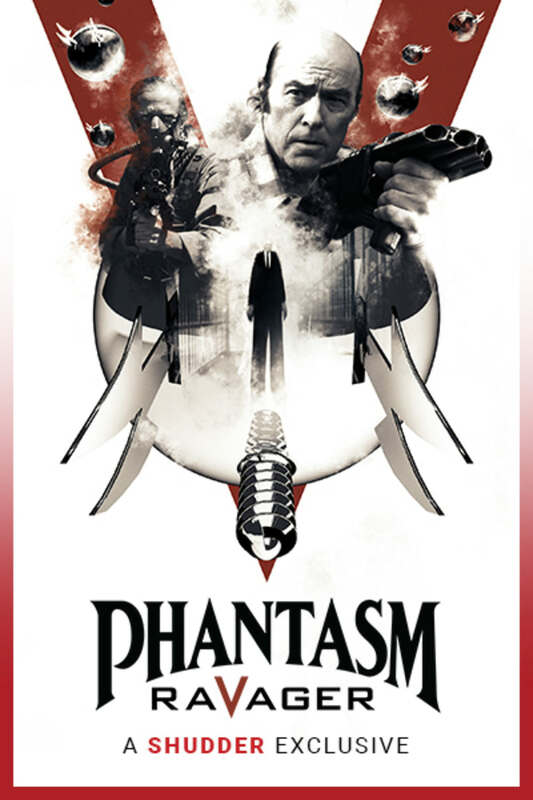 Phantasm 5 is better than I expected. If you enjoyed the other sequels then you’ll like this one too. This isn't a particularly good film. However, it's middle of the road for this franchise. In the other reviews, you'll find many complaints, but what you won't find is people admitting that those exact same complaints apply just as equally to *every* other film in the franchise. Why? Because that's how "Phantasm" rolls, baby. a satisfying end! definitely for the phans.